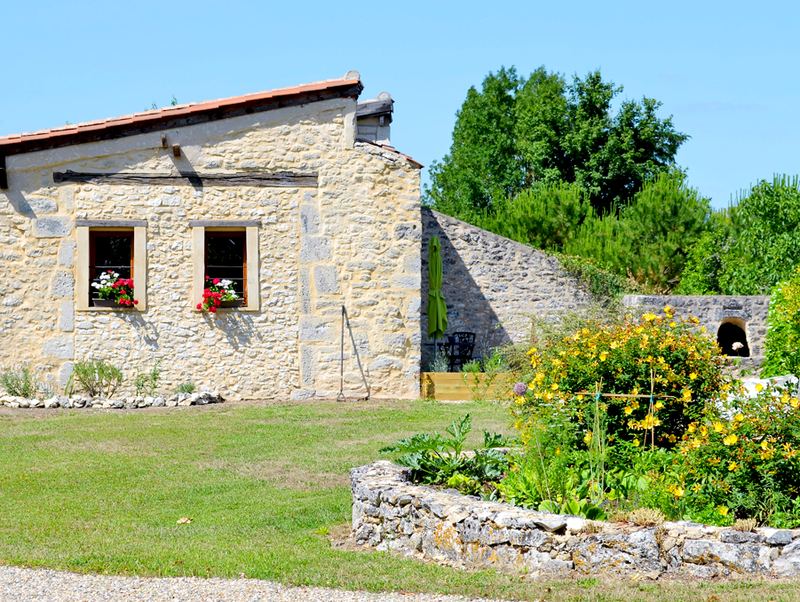 Les Chauprenades is a high quality, private, spacious gite with a courtyard garden and terrace. It has been designed for adults, a couple/two people and has been completely renovated, with modern country style furnishings and fitted to a high standard. The location is picturesque, situated in wine country, at the end of a quiet country lane, in the small village of Ribagnac a few kilometres from the famous wine village of Monbazillac. There is no passing traffic. 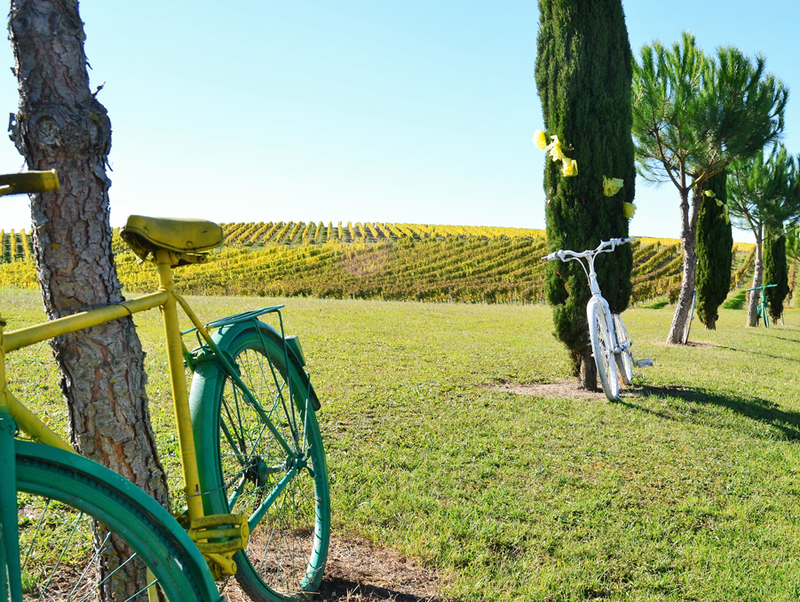 Surrounding views are of vineyards and sunflower fields. 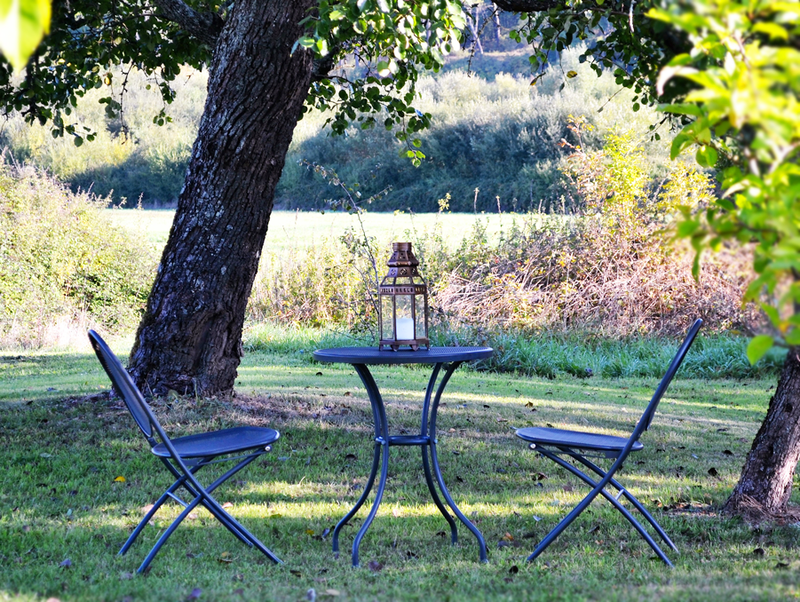 A peaceful and tranquil retreat, with the convenience of Bergerac airport, just 15 mins away. Originally a barn, set within the grounds of our home approximately 50 metres from the main house. The two properties have completely different outlooks, ensuring total privacy for guests. The gite gardens and spa pool are for the exclusive use of our guests. The property is over 200 years old and believed to have been the home of the estate manager of the neighbouring Chateau Bridoire estate, which is a popular tourist attraction today. The accommodation is high quality and spacious, designed for a couple/two people which we know, from our own experience, is not easy to find. This is a home from home, something more than a holiday property. The gardens are planted with herbs, flowers, shrubs and many trees, such as plums, pears, cherries, apples, mirabelles, figs, almonds and hazelnuts. Guests are welcome to help themselves. The trees provide cool shade for hot days and there are beautiful views over the surrounding vineyards and sunflower fields. 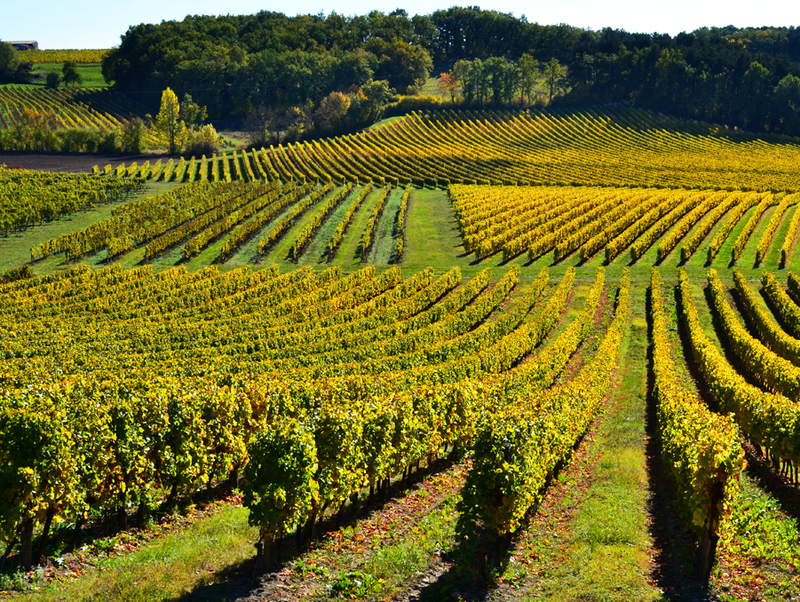 The famous wine village of Monbazillac can be seen from the terrace. Night skies are unpolluted and provide a spectacular show of stars and planets. There is a telescope available for keen stargazers. There are numerous signed walks and cycling routes in the immediate area. 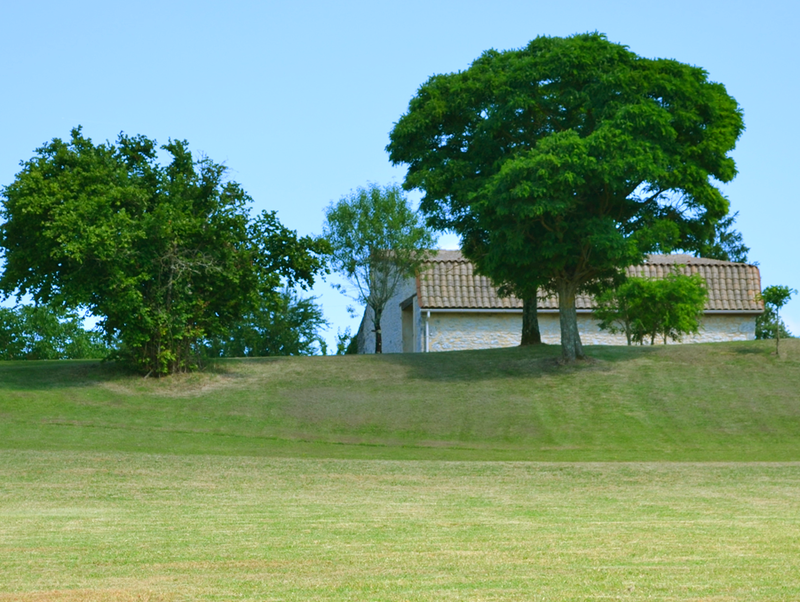 There are 3 golf courses within a short drive, Chateau Les Merles, Chateau Vigiers, Golf de Barthe, and there is a driving range on the outskirts of Bergerac itself. The location is ideal for exploring the Dordogne region, and many of the area's attractions are less than an hour's drive away. 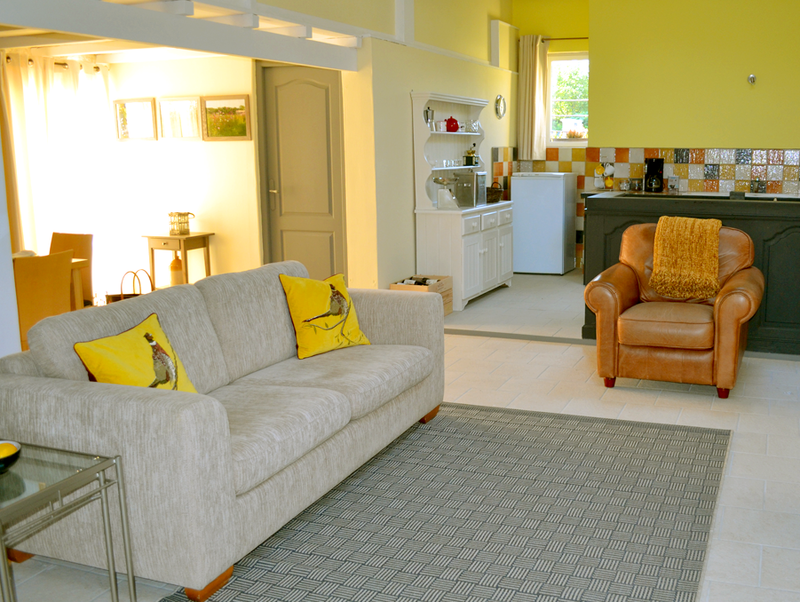 We welcome guests all year round whether summer visitors, out of season weekenders, or house hunters looking for a base to find a place of their own.